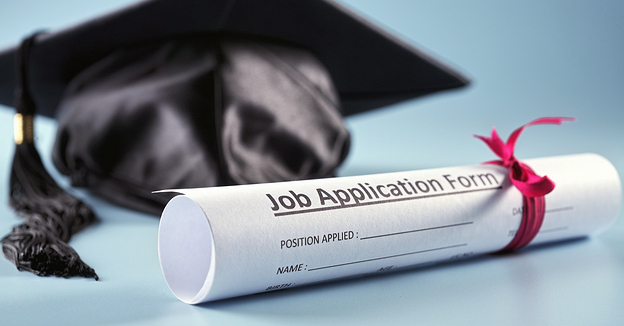 How important is your first job as a graduate? It gives you valuable experience in the working worldIf you’ve never had a job before, it can be useful to get to grips with the working world in a role you feel will only be short-term. Finding a job after university that doesn’t line up with your career path allows you to learn about working environments. You can make mistakes, learn from them and improve as an employee without the worry of jeopardising your career. It will make you a better employee for your second, third and fourth jobs that will be in your chosen field. It allows you to meet peopleAny employer or employee you work with after graduating has the potential to further your career. The saying “it’s not what you know, it’s who you know” has a lot of truth to it. That’s not to say your degree won’t matter, but making strong contacts and connections with people can give you a leg up on any future job opportunities. Someone you work with early on in your career may be your manager in the future so it’s worth building long-lasting, positive relationships. By having a varied network of contacts you can often be the first to hear about new and exciting job opportunities meaning you’ll be one step ahead of your competition. It can open up your world to new opportunitiesWhilst you’re studying, you may be 100% certain what you want to do as a career – but you might not. It’s okay to not know for certain what you want to do with the rest of your life. It’s a big decision to make and it’s okay to delay making that decision. It’s also okay to switch career paths a few times in your life. By working a job that isn’t directly related to your degree, you can sample what’s out there. You might find a career choice you hadn’t considered before. What to do after graduating?If you have a dream job in mind, don’t give up on that dream. If you have to work somewhere else first, don’t be disheartened. Learn new skills that can get you closer to your dream, be prepared to relocate and ensure your CV is the best it can be. Finding a job after university doesn’t have to be stressful and there’s lots of employment for international students – it just might not be in your chosen field. Keep working towards the career path you want and with your dedication and degree behind you, you’ll do great.